Why am I baking so many cookies lately? I wish I could answer that. When the urge to bake hits I just let my stomach rule my brain. Apparently it has been craving cookies! Lucky for me ( and my stomach ) Most of my friends and coworkers like cookies too. I have this odd vision of Cookie Monster at the helm of my brain with a bunch of buttons in the shape of Oreos and biscotti shaped levers. For my sake I hope that isn't the case. : These cookies have no chocolate. There isn't a zest or squirt of lemon either. Much to my amazement, I loved 'em anyway! When I was little there was a small bakery/produce market at my bus stop. If I came off the bus with a lot of stars or a great report card, or if I had cleaned my room the previous day, I was treated with a visit to the bakery. The smell was a mix of honey drenched baklava, almond, baking cakes, and the unforgettable smell of toffee cookies. I don't know why it took me so long to bake a recipe like this. Maybe I was afraid that it wouldn't live up to the memory. This recipe is spot on. The small amount of oatmeal keeps the cookies from going over the edge with sweetness. But these are not oatmeal cookies. You really don't taste the oats. What you do taste is the wonderful fusion of butterscotch and toffee married together in an almost caramel-like almond dough base. Yes, I used almond again in place of vanilla extract. :) align="center">In my opinion, these are what a cookies should look and taste like. They are fat, chewy, and soft. 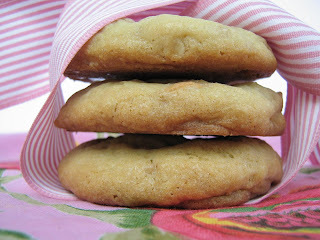 Some of my friends prefer a cake-like texture or a flat, crispy taste, But they all loved these cookies. If you are looking for a slight break from chocolate chip cookies but still want a similar structure, These are right up your alley! 1 cup of butter ( 2 sticks ) at room temp. In a large bowl, Sift together the flour and baking Soda. Whisk in the sea salt and set the bowl aside. In another large bowl, Beat the butter till creamy. Add the sugars and continue to beat until light and fluffy ( about 2-3 minutes ). Scrape down the sides of the bowl and beat in the eggs and almond extract until well blended. Slowly add the flour mixture and beat to combine. 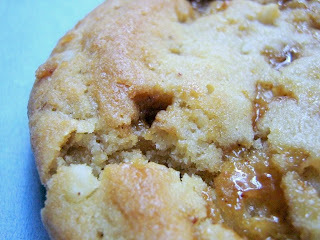 With a large spatula or spoon, Stir in the oats, butterscotch chips and toffee. Cover and refrigerate for at least 30 minutes. Try a little bit of the dough. It is so good! Remove from refrigerator and measure out 2 tablespoon fulls. Roll into a ball and place on prepared cookie sheets. Leave about 1 1/2 inches between each cookie. Bake for about 9 minutes. Do not over bake. The cookies will not look like they are done but they will continue to bake after their trip through the oven. Allow them to cool off on the cookie sheets for 5 minutes before removing them. These cookies look oh so good! I just printed out another of your recipes to make. These look delicious and I can't wait to try them. I'm a real cookie nut and sooo apprecate cookies that don't have a bit of chocolate in them. I make chocolate for others but for myself, NO chocolate!! These are PERFECT!! Hi Judy. Please let me know if you like these as much as I did! They go way too fast so share at your own risk. Thank you Ash. 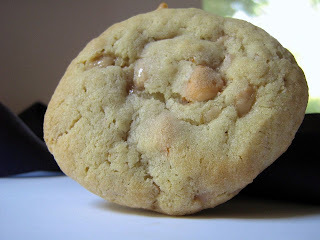 Depending on I mood, I sometimes like butterscotch more so than caramel. Hi! 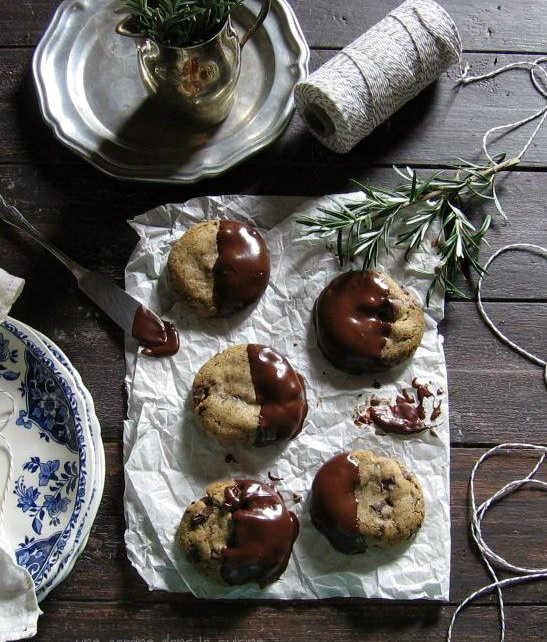 I have jst found out your blog and love your baking goods! This cookies are gorgeous, but it's sad that where I live we don't have them. Ah! I'm half french too!!! Hello Liz! I'm so happy to hear that you like my food. And I know how frustrating it can be to not be able to find an ingredient. Sometimes you can use substitutes! If you have a question on something specific, please let me know and I will try and come up with an alternative. Oh my! YUM!!! These look very tasty! Hi Liesl. Thank you. :) I'm sad to say that they disappear too fast. 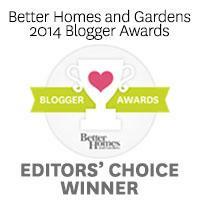 Thak you for your beautiful blog! If you have any questions about a recipe, please let me know. Great recipe!! 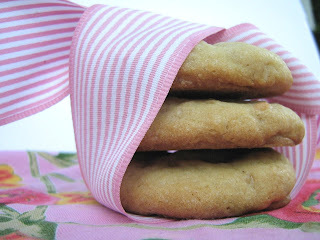 I received a lot compliments on these cookies, especially regarding their "softness." Everyone loved them.